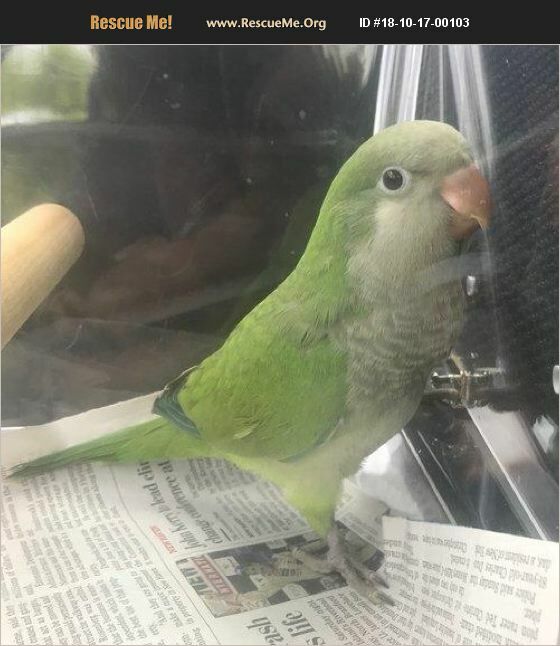 Connecticut Pet Bird Rescue View other Birds for adoption. Quincy is a baby (hatched this year) Quaker/Monk Parrot. He was recently knocked from his tree during a storm and unable to rejoin his flock. He was found by a Good Samaritan and with the help of our friends at South Wilton Veterinary Group, we were able to take him in. We are acclimating this little one and have begun hand-taming. Quakers/Monk parrots are native to South America and live for 25+ years. If you would like to meet Quincy, please email info@ctparrotrescue.org for an application.